The Gaza story has a history and a long one, as does the entire region. But one of the things that sticks out is the election of Hamas to the leadership of the Palestinian government in January 2006. It came as a huge surprise to the U.S. and just about everyone else at the United Nations. The question arises whether or not the U.S. and Israel dropped the ball in letting the Hamas faction sway the elections and did the U.S. simply look the other way while all this was going on. In a sit-down (somewhat softball) Radio interview with Condoleeza Rice on January 29th 2006 she's asked that question. Well, time answered that question. 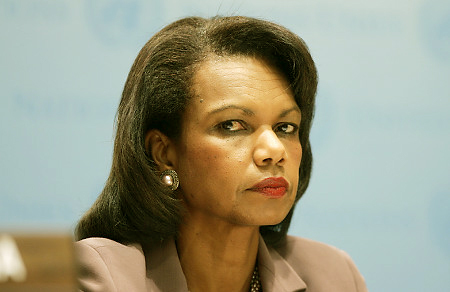 As a sidebar, Rice answers questions regarding the Bush Adminstration's position on the Immigration issue. Makes for interesting listening as well.